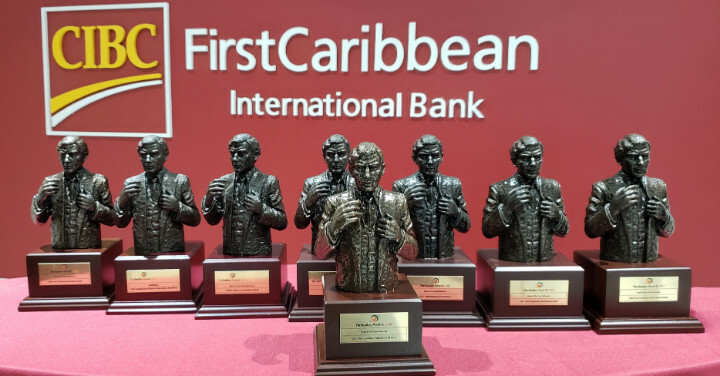 Winning Streak – CIBC FirstCaribbean has won the honor of “Bank of the Year” (Bahamas) eight times in the past 12 years, and three years running. Managing Director (Bahamas & TCI) Marie Rodland-Allen credits employees for the bank’s continual success. Nassau, Bahamas - CIBC FirstCaribbean is The Bahamas’ “Bank of the Year 2018” for the third straight year. The honour was bestowed by internationally-acclaimed financial magazine “The Banker” during its 19th annual Bracken “Bank of the Year” Awards held in London on November 29. Managing Director (Bahamas & TCI) Marie Rodland-Allen accepted the award on behalf of the bank for the third consecutive year. Mrs. Rodland-Allen touted CIBC FirstCaribbean employees as the backbone of the bank’s success. 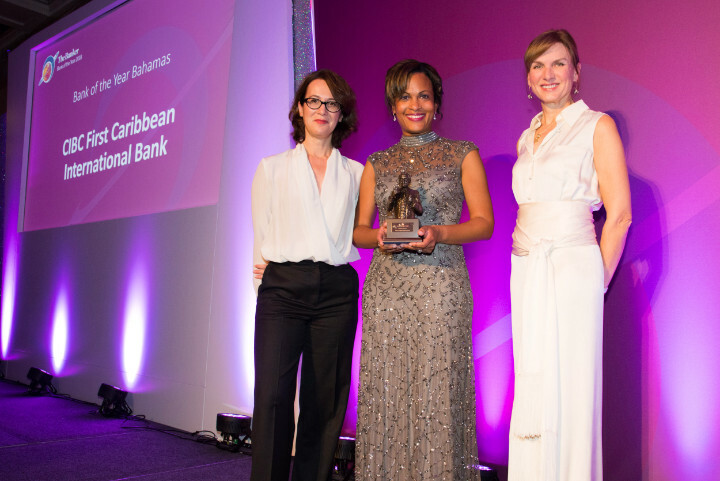 Bank of the Year Bahamas Award 2018 - Managing Director (Bahamas & TCI) Marie Rodland-Allen (center) accepted the “Bank of the Year” (Bahamas) 2018 award on behalf of CIBC FirstCaribbean at the 19th annual Bracken “Bank of the Year” Awards in London. The recognition is the latest in a series of accolades received by the bank this year. FirstCaribbean was also named “Most Innovate Bank in the Caribbean 2018” as well as “Best Wealth Management Provider in The Bahamas 2018” by World Finance Magazine. The Banker is a subsidiary of The Financial Times of London and has been the world’s leading monthly journal for the banking industry for the past 92 years. The magazine was first published in January 1926 through founding editor Brendan Bracken, of the Financial News. The Bracken “Bank of the Year” Awards aims to highlight industry-wide excellence within the banking community globally. CIBC FirstCaribbean has been crowned “Bank of the Year” (Bahamas) eight times in the past 12 years.